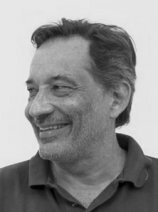 Luiz Fernando Martha is an Associate Professor in Civil Engineering at Pontifical Catholic University of Rio de Janeiro (PUC-Rio), Brazil, and member of the Tecgraf Institute of Technical-Scientific Software Development of PUC-Rio (Tecgraf/PUC-Rio). He got his Ph.D. degree in Structural Engineering in 1989 from Cornell University, working in the Cornell Fracture Group and in the Cornell Program of Computer Graphics. His research interests include Structural Analysis, Computational Mechanics, Educational Software, Mesh Generation, Geometric Modeling, and Computer Graphics. He is the creator of Ftool. Análise Matricial de Estruturas com Orientação a Objetos - 1ª edição. Editora Elsevier e Editora PUC-Rio, 2018. Análise de Estruturas - Conceitos e Métodos Básicos - 2ª edição. 1ª edição: 53º Prêmio Jabuti - 2011: 3º lugar na categoria Ciências Exatas. Requires instalation of Java(TM) Runtime Enviroment (JRE). Instruções para executar o Ftool no MacOS utilizando WineBottler (em formato PDF).